A full day exploring the largest (Ischia) and the smallest (Procida) islands in the Gulf of Naples! This tour combines an Apecar tour in Ischia + a walking tour in Procida, including a 20 minutes journey on hydrofoil between the 2 islands! We start the tour at around 10:00 am in Ischia Porto, driving across the 6 different towns of the island on a traditional Ischia Apecar. We stop several times along the way for photographs at the most famous sites such as the castle Aragonese, Ischia Ponte, Forio, Lacco Ameno and Sant’Angelo. From Marina Grande port in Procida, we start our walk into the hystorical center, visiting the ancient hamlet of Terra Murata, Saint Michael’s abbey and Marina di Corricella. 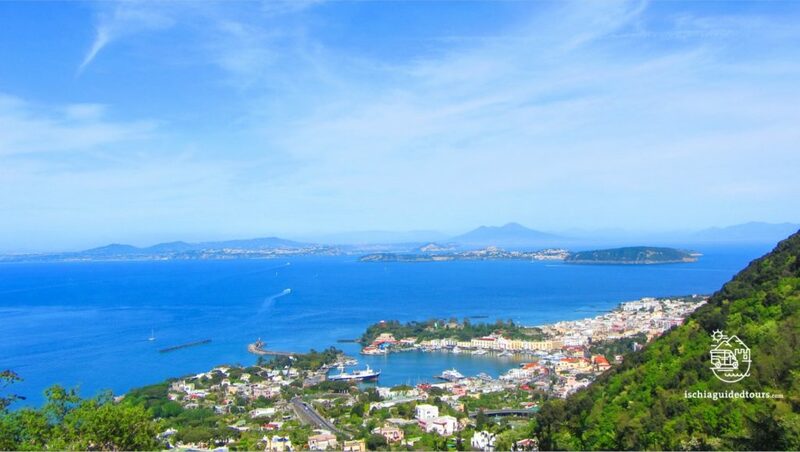 After a stroll in the quaint fishing village of Marina di Corricella, we walk back to Procida port to take our hydrofoil back to Ischia or Naples, if you are visiting from the mainland. The tour includes taxi or micro taxi, driver, English speaking guide for the whole tour. The price of the tours doesn’t include lunch, drinks or entrance fees where applicable. The itinerary of the tours may change due to unforseen factors such as weather or traffic. Official tour guides are the only people authorized by the Italian government who are allowed to run tours legally after passing the regional exam and are then licensed as professional tour guides.